India faces a true crisis in the form of unhealthy drinking water. We know that healthy drinking water is every individual’s birth right. However, what several are unaware of is that 69 crore Indians lack access to healthy drinking water. While many of us have access to pure and safe water in our homes, how we do we ensure that it reaches the many people that don’t? The numbers are alarming. But what if there was a way for you to make a change? We have a chance to make a difference. And it comes in the form of Jaldaan. What is Jaldaan all about? 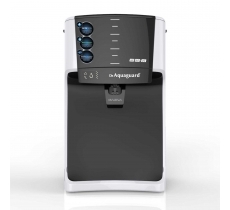 For 33 years Eureka Forbes has been committed to enabling a healthy and happy India. We believe that a nation is only as healthy as its people, where everyone has access to pure water, pollution free air and a clean environment to live in. Tandarust Bharat is our initiative to take that commitment a step further. Jaldaan, a part of the Tandarust Bharat initiative, was launched to provide clean water to the underprivileged. By participating in Jaldaan you promise to share 5 litres of healthy drinking water every day with the people who need it. These people could be your house help, your drivers, watchmen, etc an individual who truly needs it. Each litre of water that you pledge can help save a life. 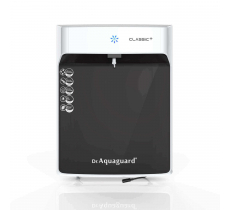 For every pledge taken, Aquaguard contributes Rs. 10 to set up water purification plants for the underprivileged. From water purification plants to water shops, we have established a number of projects across India to ensure many more have access to pure drinking water. You can also donate to the cause on jaldaan.tandarustbharat.com or nominate areas where you believe purification plants are needed. So go on, take the pledge. Join Jaldaan. *Jaldaan is an initiative supported by the Give India Foundation and Lions Club International Foundation.